Unlike rigid, thick stone panels, StonePly panels can flex and move with buildings without cracking or breaking. This gives StonePly the advantage over thick stone panels. StonePly is reinforced throughout because the aluminum backing is adhered with aviation epoxy on every square inch of the stone. There are no areas of the StonePly panel that could break off in an earthquake because it is reinforced throughout. This makes StonePly and ideal candidate for stone cladding on buildings in seismic regions. StonePly stone panels stand up in large missile impact tests. StonePly has 60x the impact strength than 1.5” stone panels. During missile tests, a 2 x 4 bounces off of a strong StonePly stone panel but shatters a 1.5” thick stone panel. StonePly also has been tested in wind speeds up to 300mph. 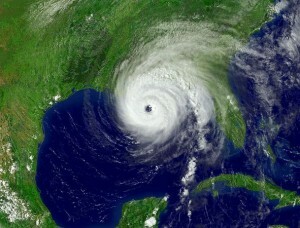 The highest wind speed found on record for the United States is only 150mph. Also, the stone is bonded to the aluminum backing using epoxy that is used on airplanes flying at mach speeds. This gives the stone extra strength while allowing it to flex and bend with the building. The durability and strength of StonePly allow it to hold up during tropical storms and class 5 hurricanes with only minor scratches. Thick stone panels are not a plausible option in hurricane and seismic regions because they do not have the added strength of an aluminum backing like StonePly stone panels. Flying debris will often crack, chip and/or break thick stone panels on the exterior buildings. Since a thin stone panel is bonded to an aluminum backing through out, StonePly stone panels are the superior option to heavy, thick stone panels.